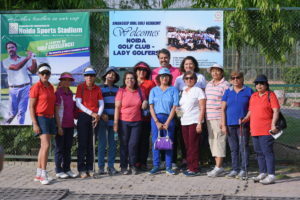 Former International Golf Professional, Amandeep Johl conducted an ‘Introduction to the Basics of Golf’ clinic for the lady golfers of Noida Golf Course on 4th May at the Noida Sports Stadium – Golf Range. Eighteen ladies participated and all of them got an insight into the fundamentals of the game and busting the myths that surround it. 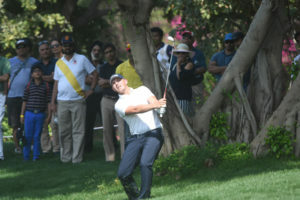 The two-hour session was followed by individual attention on their swing techniques by Amandeep. 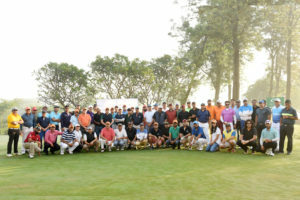 The clinic was initiated by lady Captain – Mrs. Kiran Chowdhury with a single objective to help improve the golfing skill of the ladies of Noida Golf Course and to bring more and more of them into the fold of this wonderful game. 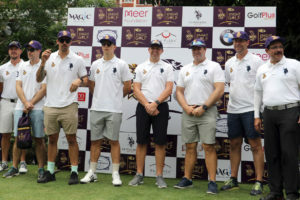 The interactive golf session ended with a long driving competition that was conducted by the newly-installed ball tracking simulator at the range, the GC2. 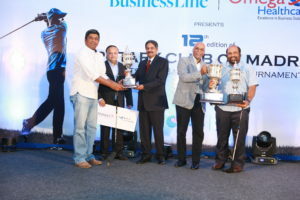 Ms. Simran Bajaj emerged as winner with a drive of 189 yds. What was the idea behind conducting this ladies golf clinic? 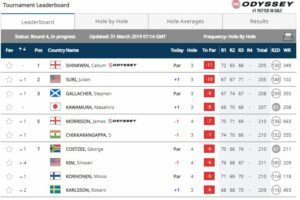 AJ: The Noida Sports Stadium is home to a great golf facility which provides a place for people to come and practice unhindered. When I took it up a month ago I saw that there was no lady coming to the Noida Stadium and I found it very surprising. I run a driving range at Siri Fort where there are a lot of ladies who come and play golf during the day. I found that probably the atmosphere is not conducive enough for a lady to come here to Noida Stadium and play. She might not feel safe. So I thought, the first people that I should invite to the Noida Stadium should be the ladies from the NGC and let them all know about the changes in this place. Now it is a place where they can sit and have a cup of coffee while they practice, nice music is playing while they are playing, a bunch of friends can come, they can practice golf and later on have sandwich and lemon water etc. We have started serving ‘lavasa coffee’ also. All in all a nice atmosphere has been created for the ladies. Little things are being doing to upgrade the facility so that it becomes a place where people would like to frequent. Unfortunately, when I took over there was no Ladies Restroom. So that’s the first thing I have done. I made sure that there is a separate Ladies Restroom. So all this led me to conduct a golf clinic for ladies. How is this driving range different from other driving ranges? 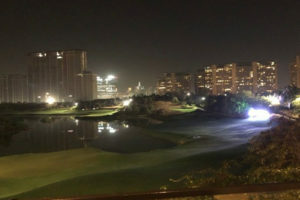 AJ: When people practice in Noida Golf Course they can’t use their long clubs, drivers etc. because it is not long enough whereas the range at Noida Stadium is long enough where they can use their drivers. Here at the Noida Stadium range they can also use ‘play from the grass’. At NGC they have to actually wait to play off the grass. So this is the place which offers both those facilities where you can play off the natural turf and also from the mats. I have brought brand new mats. I have brought 4000 branded golf balls. I promise you that you cannot find a better facility than this in the whole NCR. Is this the first ladies golf clinic in the country? AJ: Not really. 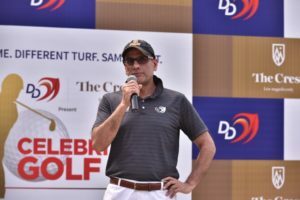 I have conducted some golf clinics for the Delhi Golf Club Ladies Section in the past. So it is not the first, but in Noida it is certainly the first. Would you be conducting more such clinics in the future? 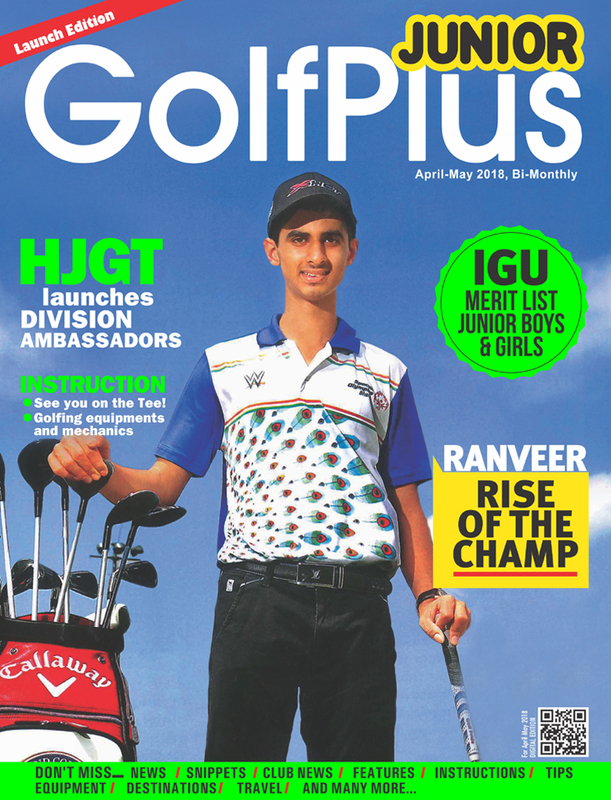 AJ: I’m conducting three clinics, one each week for the Noida Golf Course Ladies.